Dwayne Boggs has been inspecting homes in the region for over 13 years. New construction is booming throughout our area. After several years of slowdowns in the industry, local builders are logging record numbers of new homes built and they are selling as fast as they are built. While a new home is sometimes free from many of the problems you might encounter in an older home, homeowners shouldn’t assume it is defect free. Learn about the value of a home warranty inspection. 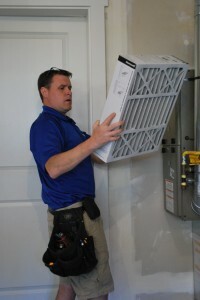 Inspector Bill Ryan checks the exterior hose bibs on a Rob Rice Home in the Campus Peak neighborhood. This is where a home inspection comes into play. 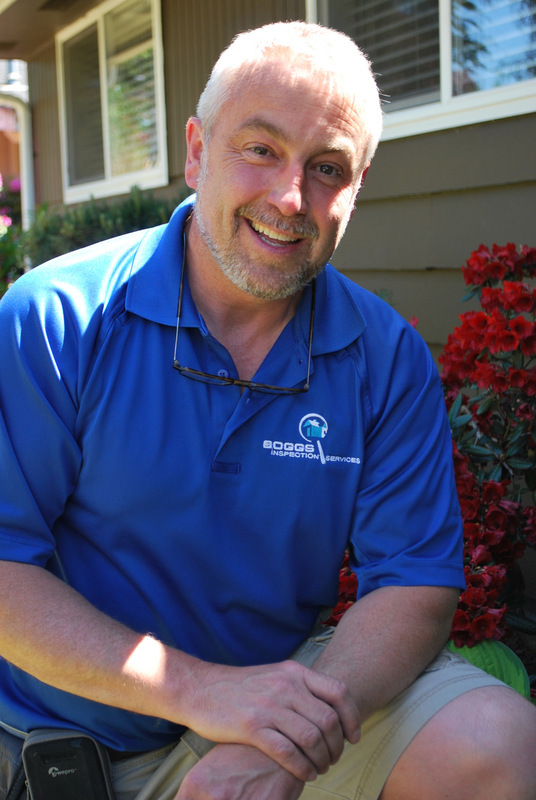 Boggs Inspection Service has been helping Thurston County homeowners get an in-depth look at their homes for over 13 years. No matter the age of the home, owner Dwayne Boggs recommends getting a home inspection. For new construction, buyers often opt for a warranty inspection, often called “11-month New Home Inspection” in lieu of an inspection at the time of sale. The warranty inspection is performed just prior to the expiration date of a new construction home’s warranty. By offering these warranties, builders give buyers piece of mind that should things go wrong in the first year – small or large – they have the builder’s assurance it will be addressed. Boggs shares that his four busy inspectors typically log three to five warranty inspections each month, helping homeowners identify potential areas of concern before that critical home warranty expires. Many builders recommend creating a “punch list” of small things you notice during the first year – sheetrock nail pops, drywall cracks, trim defects, scratches – so your builder can address them all at once. But, what about things you can’t see? Things that might be lurking in the attic or the crawl space? Things you might not even know need to be repaired? 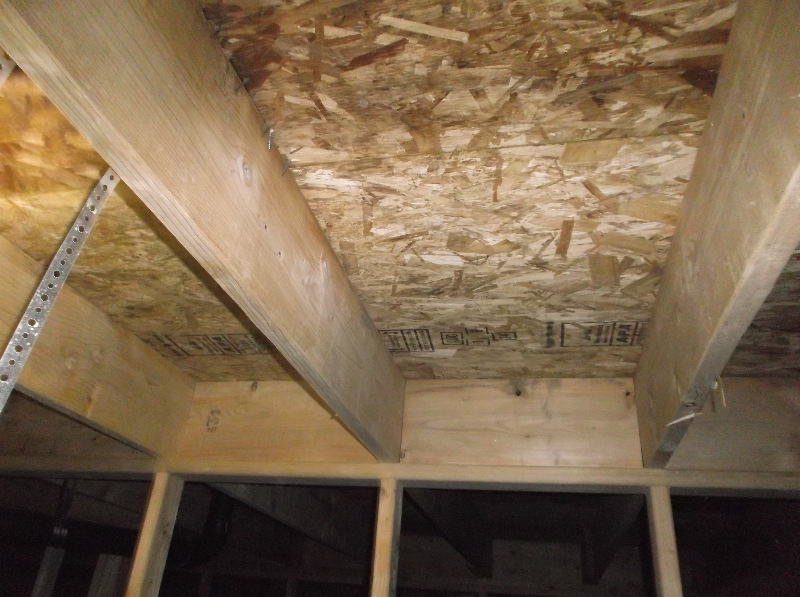 This new construction home was missing insulation in the crawl space, a major cost to the homeowner avoided through a Boggs Inspection Services inspection prior to the warranty’s expiration. Photo courtesy: Boggs Inspection Services. “We have found homes missing insulation in the attic or crawl space and homeowners never knew,” shares Boggs. Residents may have noted higher than expected heating costs, but could never figure out why as their HVAC system seemed to be working perfectly. When found before the warranty expires, these repairs come on the builder’s tab, not yours. Other common findings during a warranty inspection are incorrectly installed outlets or GFCI outlets, broken roof trusses, small exterior openings where moisture is seeping in and improper drainage. While some of these seem minor, a small problem can be the cause of large issues down the road. Improper drainage can lead to foundation damage and structural problems. 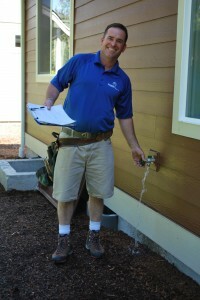 Small exterior leaks can lead to wood rot, mold or pest infestations. Improperly wired outlets can lead to a fire hazard. While not everything is covered by your home warranty, most of the costly issues are. The trick is to discover them prior to the expiration date. If something big is revealed in the course of your inspection, it’s much better to have it repaired on your builder’s dime than yours. A warranty inspection helps you leverage the value of your home warranty through an unbiased, third-party inspection you can hand directly to your builder during their one-year walk through. Inspector Keith Bowman ensures no “stone” is left unturned in an inspection by Boggs Inspection Services. Photo courtesy: Boggs Inspection Services. 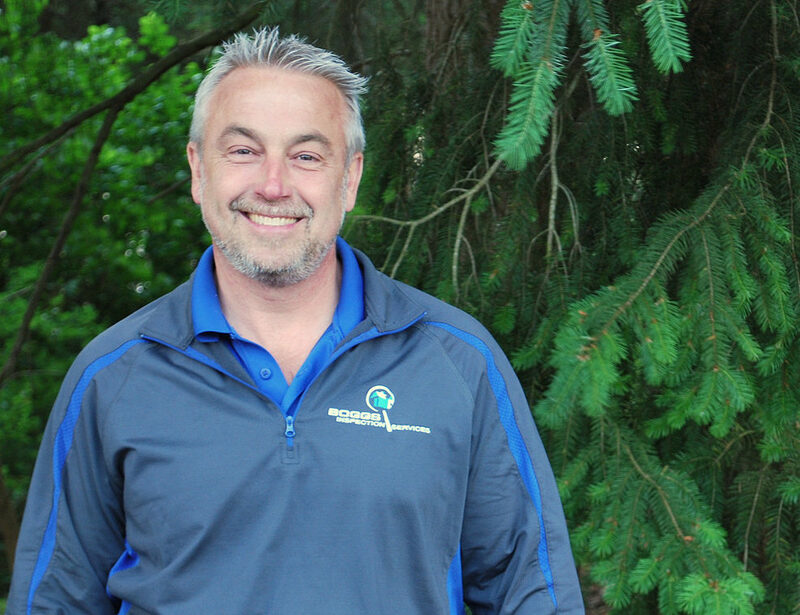 Local homebuilder Rob Rice Homes works regularly with Boggs Inspection Services for both new home and warranty inspections. Rob Rice Homes exceeds industry standards with their warranty. Their 2-10 Home Buyer’s Warranty (2-10 HBW) program offers “risk reduction, increases the resale value of the home, and often saves the homebuyer money after closing when the unexpected and unforeseen happens,” shares owner Rob Rice. What does the 2-10 HBW offer? “It’s limited warranty coverage from frame to foundation and interior systems to exterior finish,” says Rice. Rob Rice Homes addresses defects in workmanship and materials up to one-year mark, making an 11-month home inspection a good bet for cosmetic issues, improperly installed items or finish carpentry defects. 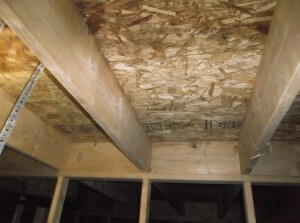 The “10” in the 2-10 HBW refers to 10 years of structural defect coverage for load-bearing. The “2” indicates two-year coverage against defects in systems such as wiring, plumbing, heating and cooling. These extended coverages exceed industry standards and make a Rob Rice Home a great value. 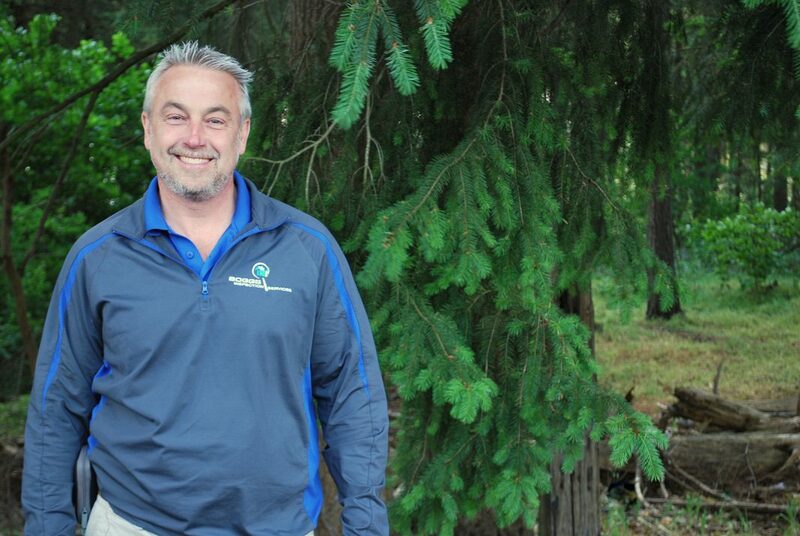 Dwayne Boggs has been inspecting homes, new and old, in Thurston County for over 13 years. Boggs inspectors share that Rob Rice Homes are typically high quality with a high level of workmanship. However, Rice himself is quick to point out that even in the best built home, settling or shrinkage will occur. “Drywall cracks and concrete cracks are common issues in that first year,” he says. And with a busy hive of sub-contractors working in concert on each house, sometimes things get missed. If you’ve purchased a new construction home, don’t let that eleventh month slip by. Get the most out of your warranty by utilizing a home inspection from Boggs Inspection Services’ professionals. Their expertise can help find things you’d likely miss and ensure your biggest investment, your home, won’t empty your wallet with repairs down the road. To schedule a new home inspection, a warranty inspection or a general building inspection contact Boggs Inspection Services at 360-480-9602 or visit Boggs online to learn more.